You can put anything you want inside a tortilla. In Mexico, tortillas are the equivalent of bread – versatile, delicious, and utilitarian. However, many Mexican restaurants are heavy on meat and dairy products, which you obviously want to avoid if you’re vegan. Fortunately, it’s entirely possible to enjoy a delicious, hearty taco meal without any animal products whatsoever. Here’s a recipe I developed all by myself. I hope you’ll find it as satisfying as I do. Chop the polenta into small, triangular wedges. Fry in pan at medium heat setting with plenty of olive oil. Polenta has a tendency to stick, so watch the pan and be prepared to add more olive oil if necessary. Don’t let it burn! Some crumbling of the polenta is normal. 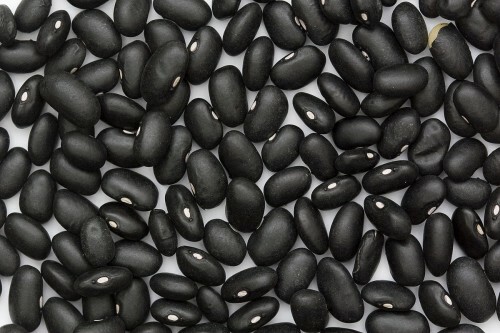 When both sides are golden brown, add black beans and resume frying. Combine the chopped jalapeno, minced garlic, basil leaves, and cayenne pepper and toss them into the sizzling mixture. Continue stirring for 10-15 minutes. Prepare the tortillas according to your preference. I like to fry them in a separate pan with a little bit of olive oil, but if you’re counting calories, just heat them in the oven. Corn is my favorite, but gluten-free flour tortillas come in many flavors, and create a lighter, less filling taco. Ladle the polenta/black bean mixture liberally onto the heated tortillas and add your favorite, preferred toppings. I’ve listed my favorites, but with a bit of brainstorming, you might be able to come up with a few of your own. Remember, pretty much anything tastes great, when it’s wrapped inside a warm tortilla! Add a few bottles of gluten-free beer, and you’ll have an authentic Mexican dish without having to rely on anything that came from an animal. Happy eating! Your friends and family won’t stop thanking you and asking for more. 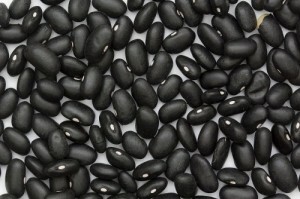 Instant Pot direction for black beans: Put 1 lb of dry black beans (about 2 cups) and 6 cups of water in the Instant Pot. Seal and set manual time for 25 minutes at high pressure. Natural release. Drain and salt to taste (don’t salt until after they are cooked). This yummy, gluten-free, vegan taco recipe uses black beans and polenta as a protein base. The tacos are delicious, filling, and authentic.